My colleagues Jacob Scherr, Ani Youatt, Adrianna Quintero and I travelled to the lagoon last weekend to celebrate the 10th anniversary of the cancellation of the Mitsubishi saltworks project, a proposed joint venture with the Mexican government that was abandoned in March 2000 under intense pressure from Mexican and international environmentalists. 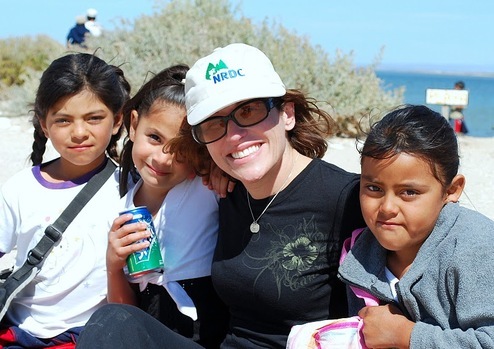 Following is a video NRDC produced documenting the 10th anniversary. For three days we met with our partners in the battle to protect Laguna San Ignacio and to share our memories of what became one of the largest environmental campaigns in history The campaign was initiated by Mexican poet and environmentalist Homero Aridjis, his wife Betty, and El Grupo de los Cien, and joined by NRDC, the International Fund for Animal Welfare (Jared Blumenfeld, formerly of IFAW and now EPA’s Administrator for Region 9, was with us at the lagoon), and many others, including former Mexican Deputy Foreign Minister Andres Rozental, Ambassador Alberto Szekely, Patricia and Laura Martinez of Pro Esteros, Serge Dedina of Wildcoast, Jean-Michel Cousteau of Ocean Futures Society, our colleague Robert F. Kennedy, Jr., renowned photographer Robert Glenn Ketchum, international law expert Mark Spalding, and film stars like Pierce Brosnan and Glenn Close. It was an amazing multi-year, multi-faceted, global campaign – one in which NRDC’s members and activists played a critical role. At one point, we had advocacy activities to save the lagoon underway in Mexico, the United States, Japan, Europe, and in the United Nations. Our group included Ari Hershowitz, who played a key role for NRDC and the campaign in reaching out to the people living around the lagoon. Raul Lopez was there, along with other members of the local communities who showed real courage in standing up against the proposed saltworks. Their determination to protect the lagoon and their community made a critical difference in the fight. But looking back was only a part of last week’s gathering, because the battle to protect the lagoon goes on. In 2005, the Laguna San Ignacio Conservation Alliance was formed with a goal of protecting permanently the lagoon and its surrounding lands. In the last five years, the Alliance has protected some 140,000 acres on the southern edge of the lagoon, and it has secured additional protection on 109,000 acres of federal land. It was great to have with us at the lagoon representatives of three groups that are playing a key role in our land preservation efforts: Miguel Angel Vargas of Pro Natura, Anne McEnany of the International Community Foundation and Peggy McNutt of the Resources Legacy Fund. Over the next five years, we hope to conserve an additional 250,000 acres to prevent the return of the salt works project or any other major development project that could threaten the lagoon or the lands that surround it. As part of the reunion gathering last weekend, we convened a well-attended community symposium at the Kuyima camp to discuss recent and planned economic, conservation, and scientific activities around the lagoon. 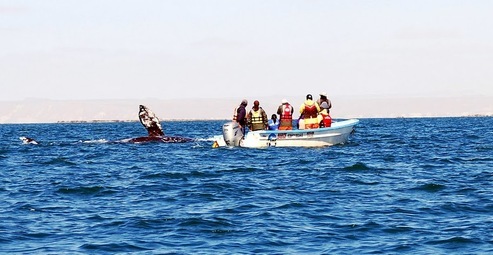 The following day, more than 80 children from communities around the lagoon piled into the small fishing boats called pangas for hours of whale-watching. 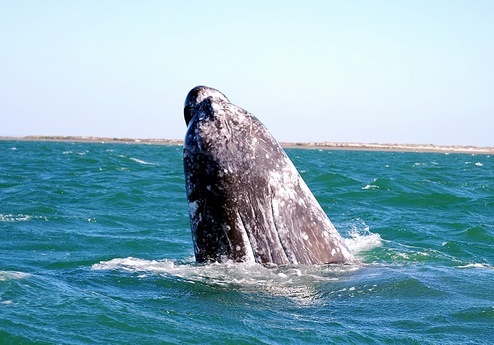 For a number of the local kids, this was their first chance to get up close to the whales. They say that “success has a thousand fathers… and mothers,” and credit for the victory at Laguna San Ignacio belongs to all of us who were fortunate to gather there last weekend and to many more who were not able to join us. The need to draw the line in the sand and save this special place was shared by hundreds of thousands worldwide. This victory demonstrated that it is possible for citizens to take successful action to protect and preserve nature. But the work never ends, and we look forward to more successes at Laguna San Ignacio.